If you or someone you know has experienced a heart attack, bypass surgery, or coronary artery disease you know just how devastating the effects of these conditions can be. However, recovery or improved quality of life may be possible through lifestyle changes and understanding the causes of heart diease. With the help of the Cardiac Rehabilitation Program at the Fulton County Health Center, more and more cardiac patients are returning to healthy, active lifestyles. Our Cardiac Rehabilitation program combines safe, carefully monitored exercise, education and counseling in a program tailored to meet the needs of an individual who has had a cardiac event or who struggles with coronary artery disease. Typical patients in our program would be those having stable angina, recent heart attack, coronary bypass surgery, valve replacements, angioplasty and/or stent placement. To help in recovery from a cardiac event our Cardiac Rehabilitation Program offers three phases to correspond with an individual’s needs and recovery. The program begins while the patient is still in the hospital, and can continue through three phases of treatment. Phase I is a program of prescribed exercise and education information offered during the cardiac patient’s hospitalization. Phase I is initiated by Critical Care or Inpatient Care staff under the direction of the patient’s attending physician. Exercises may include bedside range-of-motion exercises and walking. The educational information that the patient and family receive during Phase I helps ease anxiety and explains the importance of altering such factors as diet, smoking, stress and daily activity. Medications, symptoms of cardiac disease and other related topics also are discussed. At this level, cardiac patients benefit both physically and emotionally from the guidance and training of staff members who can help them adjust to new schedules, new medications and a new lifestyle. Phase II, the outpatient rehabilitation plan, is designed to assist with a gradual return to normal daily living and/or eventual return to employment. Following discharge from the hospital, patients visit our cardiac rehabilitation facilities three times per week for eight to twelve weeks. Goals are established and an individualized exercise plan is designed for the patient. The first session involves an initial interview, screening and assessment. Subsequent sessions last approximately an hour each and involve a carefully structured combination of exercise, education and counseling. Sessions include warm-up activities and exercises on various equipment such as a stationary bicycle, rowing machine, treadmill and an arm ergometer. 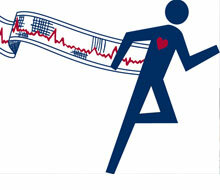 The heart’s response to exercise is evaluated throughout each session with an EKG monitor. Phase III is a continuing outpatient program focused on maintaining the physical well-being of patients who have completed Phase II. During Phase III, group interaction is promoted in a supervised, safe and familiar atmosphere. Knowledgeable staff members monitor blood pressure, heart rate, and are available to answer questions and address concerns as each individual continues to progress in his or her own fitness program. Phase III participants enjoy a continued sense of well-being and control as they maintain a commitment to cardiovascular fitness. Patients are accepted into the FCHC Cardiac Rehabilitation program through direct referral from their primary care physician or cardiologist. Usually patients participate in an exercise/stress test before entering the program. Individual training, guidance and education are provided by registered nurses and other Cardiac Rehab staff. Consultation with other expert staff such as a dietitian, social worker, pharmacist or Stress Unit staff are available as needed. Patients are secure in the knowledge that cardiac care professionals are always available to answer questions, monitor progress, and ensure safety as they work together to build cardiac, pulmonary and vascular fitness.